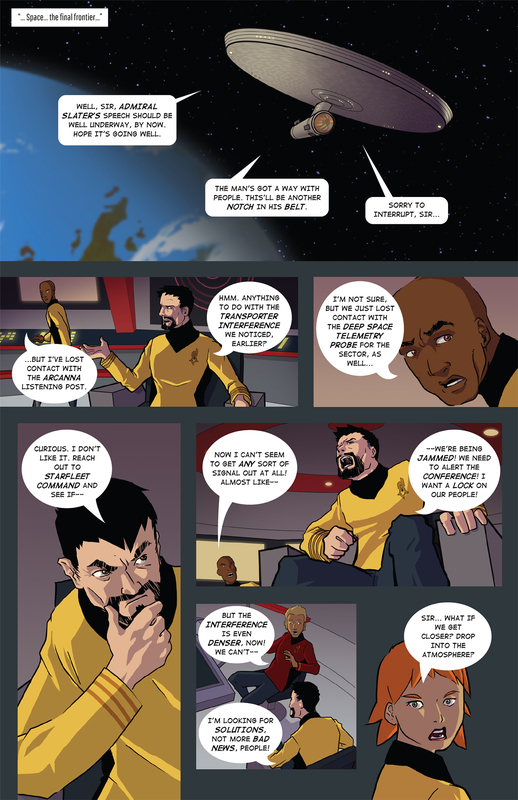 Fan Film Friday – AXANAR fan comic begins PART TWO of “ARCANIS IV”! 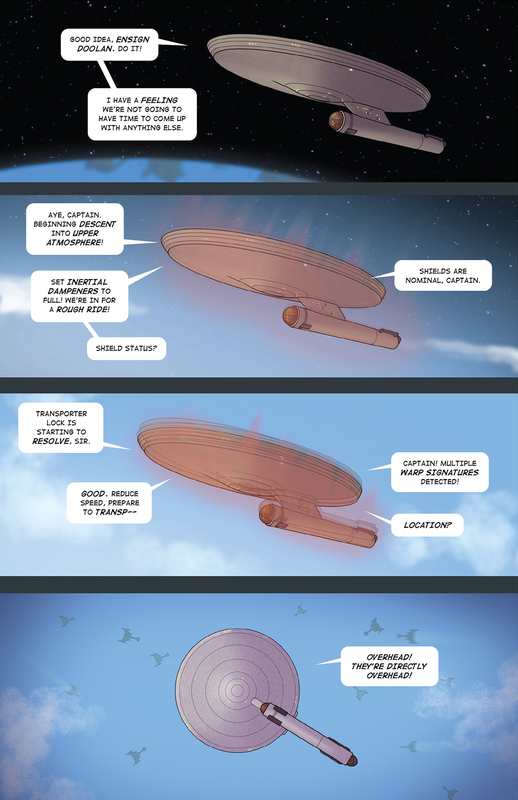 AXANAR has inspired several fans, including me, to “expand” that universe. Whether you consider it “Prime” or the “Axa-verse,” for some of us, it’s FUN to play in this particular sandbox. 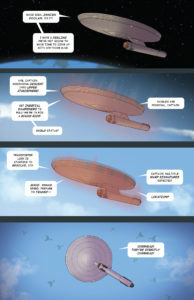 ALEXANDER RICHARDSON (the designer who created the console graphics on the USS Ares bridge set…along with many other graphics for Axanar Productions and Ares Studios) is currently working on full blueprints of the USS Ares. 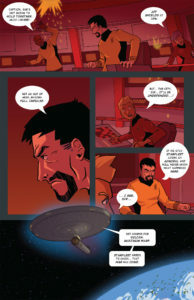 MARK PAYTON has written a multi-chapter Axanar novella titled The Inverness Revision. And I myself wrote an Axanar short story “Why We Fight,” illustrated by the amazing MARK McCRARY. But there’s one Axa-fan who has, in my opinion, topped us all. And Tuesday was his birthday…Happy Birthday, TREY McELWAIN! Trey loves Axanar so much that, back in the summer 2017, Trey released a four-page (including cover) Axanar mini-comic book story titled “Trial by Fire.” Not an artist himself, he paid his friend DANIEL FU to illustrate it…and it turned out awesome! 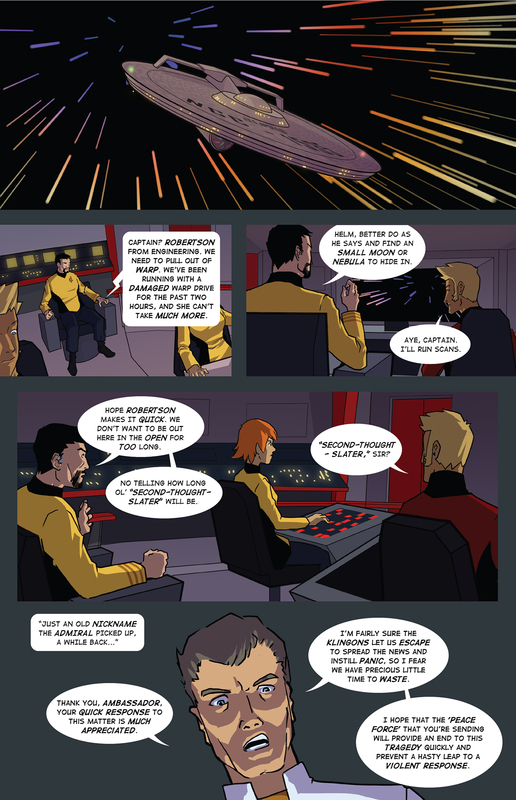 Not content to simply sit on his laurels, though, Trey set out on a much more ambitious undertaking: to make an entire Axanar comic book SERIES! This would be no small feat, and not at all cheap (as starving artists like to eat, and Trey—not exactly in the top 1%—was paying Daniel out of his own pocket, not crowd-funding). 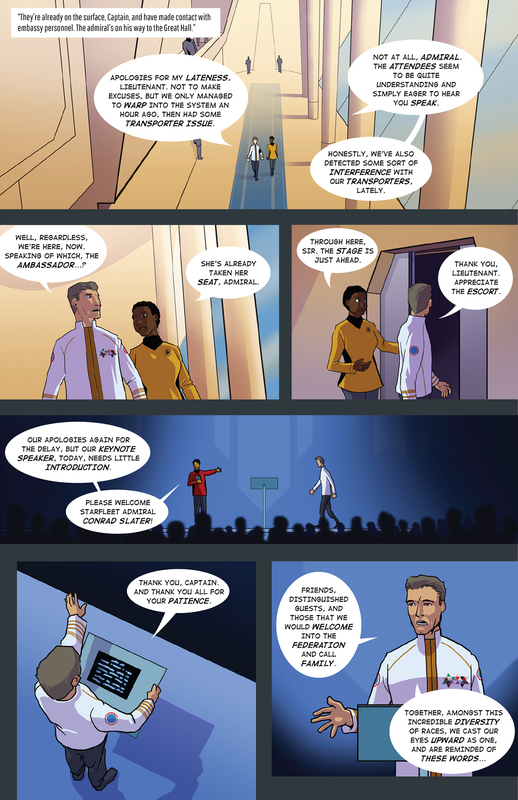 Trey put up a website, Axanar Comics, and began posting pages there as they were completed. Initially, this was supposed to be one per month, but three pages were completed quickly, and instead of waiting, Trey posted them all at once. Within two months, the cover and six additional pages were released, finishing part one. That was last July. 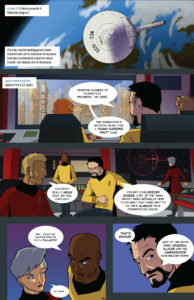 Inspired by Trey, I decided to transform an Axanar fan film script that I’d written (and would certainly not be able to afford to shoot) into a short comic book story of my own. 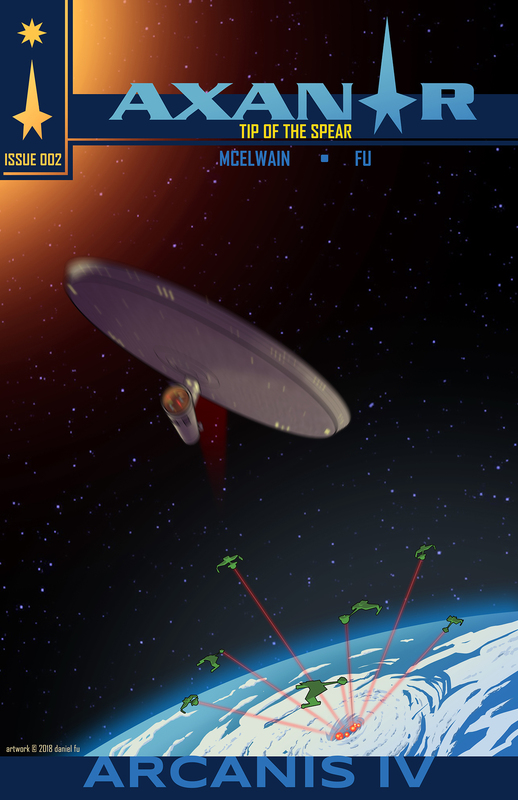 Turning the shooting script into a comic book script, I began working with Daniel Fu just as he was finishing up with part one of Trey’s “Arcanis IV” story. So for the next few months, Daniel and I collaborated, and he did an incredible job delivering a cover and four fantastic pages of artwork to me, leaving three page still to finish as the holidays approached. 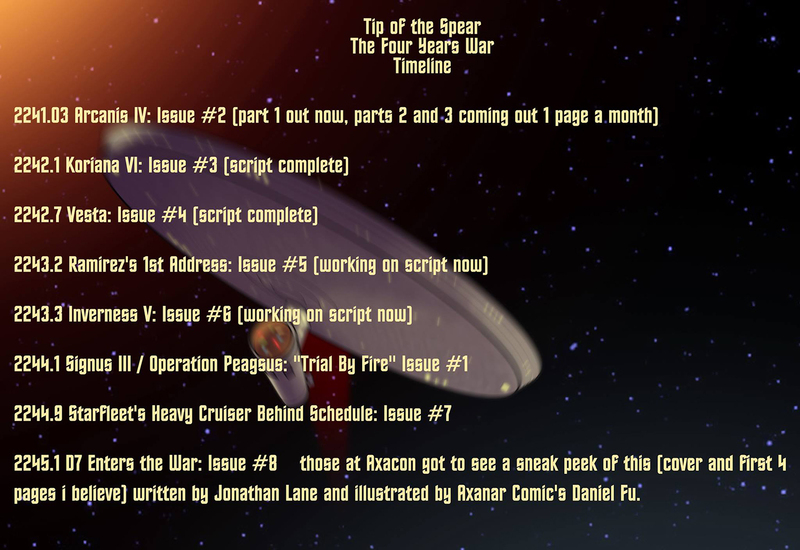 Recently, I have considered bringing on other artists in order to help me to get this timeline out a little quicker. 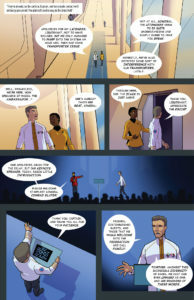 A couple of the “scripts” for a couple of the books in the timeline were written in more of a similar manner to the short story that you wrote, “Why We Fight,” an illustrated Axanar Short Story, illustrated by Mark McCrary. The first of its kind I believe. 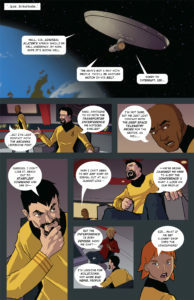 I found it amusing that Trey’s work on his original Axanar comic had inspired me to write “Why We Fight,” and now my short story was inspiring him to do something similar. 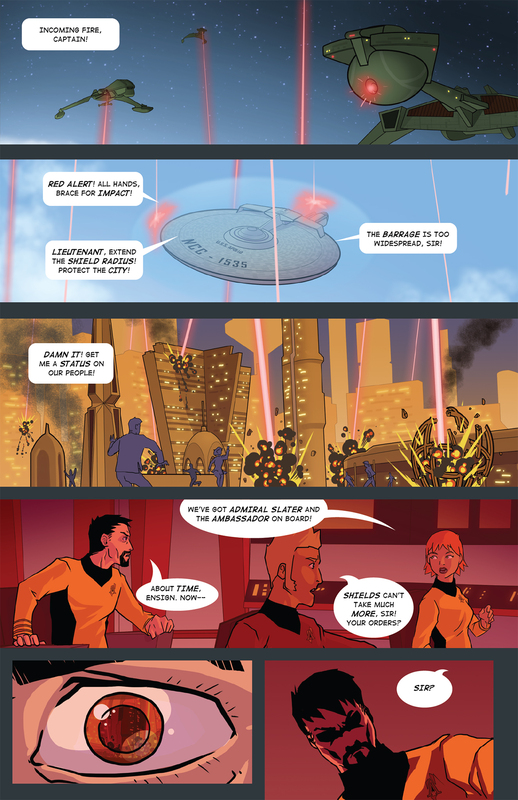 That’s one of the great things about building castles in the Axanar sandbox! material created by the operators of this website are not endorsed or sponsored by or affiliated with CBS/Paramount Pictures or the STAR TREK franchise.